About Claire F. Message Claire F.
Claire was fantastic. Sharing all sorts of interesting information about New Zealand and showing me wonderful sights and offering to make modifications as I needed or desired. Wonderful experience. We had an extra 2 days in Auckland at the end of our group tour through Australia and New Zealand and booked a West Coast tour with Claire. It was just the 2 of us and Claire was very attentive to our needs - wanting to see an area outside the city but also a bit tired after 3 weeks on the road. We had a beautiful day seeing the rainforest and the west coast beaches of Karekare and Piha - such a beautiful area and such a personable and knowledgeable driver - would do this again! Thanks Claire! Claire was an excellent guide. She was very flexible to account for rainy weather and our mobility issues and created a very enjoyable experience for us . Her knowledge of the area was exceptional - especially the local flora and fauna, which was of special interest to us. I highly recommend her. We enjoyed Claire very much. Her driving us around to see the sights we chose was comfortable and informative. 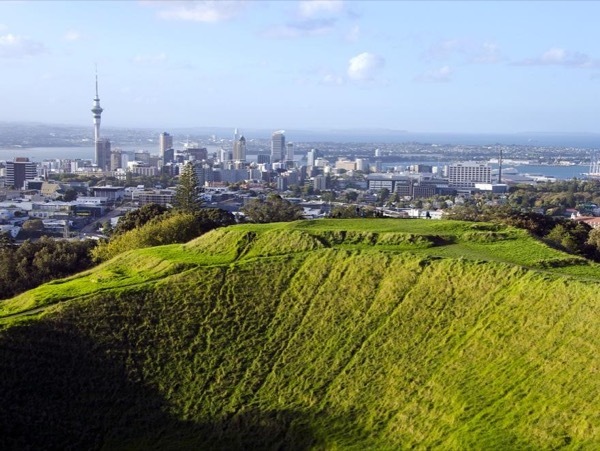 We highly recommend Claire as a knowledgeable guide in Auckland, New Zealand. We had a really great day with Claire. Very personable and knowledgeable. And the views were outstanding. We loved getting to see places and beaches we would never be able to find on our own. Claire knew all the best spots for education, photos, fun, and even a great little art gallery / gift shop at the end. Amazing beaches...we would have loved to spend a full day just out on either of the beaches. Claire was great. Very friendly and knowledable. A perfectly customized and comprehensive tour of Auckland and vicinity. Very knowledgeable about Auckland. Took us to a specific lunch restaurant in a great neighborhood that was perfect for our dietary preferences. Friendly and pleasant throughout and we truly enjoyed touring Auckland with her. Claire is a local Aucklander with a lot of knowledge about this city. Her van is very clean and spacious. We enjoyed or day very much. Claire did an excellent job of showing us the sights of Auckland before we boarded a flight for home. She kept careful watch of our time but still managed to get in everything that we wanted to see. She was knowledgeable and personable and fun to tour with. We highly recommend her! Gave us a very nice tour of the city. She even took us to the right to find some local pottery. Highly recommend Claire. TOUR GUIDE RESPONSE: Thanks for taking the time to send me a rating! Super friendly, helpful and courteous guide. There were 4 of us with Claire for 2 days....every minute with her was like spending time with family! If Claire is available for your tour..BOOK HER! She was very informative and punctual...she made our stay in Auckland carefree and extremely enjoyable...we wish she could be our guide everywhere! Claire was great...she met us at the airport and had a wonderful full day planned...The Glow Worms day adventure was fascinating and so was Claire...I highly recommended CIaire for ANY tour! TOUR GUIDE RESPONSE: Thanks Dale for the lovely review! Claire was great!! She knew all the right places to see and even had special access (less walking needed) to some of them. We had an awesome day with Claire. She is a very personable and knowledgeable professional. Auckland was the last stop on our NZ trip and though we've seen a lot, Claire showed us even more beautiful places. From the east coast of the city to the west coast beaches, we had a packed full day. Claire gave us history of the places we visited as well as info on the current vibe of the areas. She was completely flexible with our interests and made us feel completely at home. It was a great day. Claire handled all the details flawlessly on this day trip, and provided many small details to make our journey comfortable and interesting. With many hours of travel in the car, she never lacked for interesting topics to be discussed, or insights into the area we were traveling through. Claire was very prompt picking us up at our arrival flight, and this was a great way to introduce ourselves to the city and gain our bearings for future travel. Claire clearly loves the city and its history and goes out of her way to make you feel comfortable and consider your personal wishes and comfort. We did several short hikes around the city parks and lookouts which were much enjoyed after a long plane ride. Thank you, Claire! This was a perfect tour because we had a short time in the port of Auckland while on our cruise. We got a chance to get a good overview of Auckland. Amazing to see all the parks developed from dormant volcanos. Our time at the War museum was limited. There are several beautiful carvings from the Maori's. A short demonstration of their native dances completed our time there. We drove around to the outer area of the city of Auckland before having to return to our ship. Can't forget the Anzac Biscuits! Day 2 with Claire was even more interesting and informative than day 1 which was amazing. Claire customizes her efforts for individual tastes and loves her country and her profession. We spent two full days with Claire exploring the spectacular northern island of New Zealand. Claire spent time understanding our interests and providing advice prior to our visit. She then tailored our excursions as well as lunches to our specifications. Claire truly enjoys her role and provides a perfect compliment to her magnificent homeland. Thank you Claire! ....and by the way the only rain we encountered was when we saw another local guide so the rain was the responsibility of that OTHER guide. Claire was very knowledgeable, friendly and easy to talk to. My wife and I enjoyed the tour very much. Claire was great for our group picking us up at the ship, touring us around Auckland for 3 hours and then taking us to the airport. She was especially cheerful and helpful helping us get our luggage into her van. This group of old retirees might have brought too much stuff. We were able to see the major sites and got in some needed walking also. She has a lot of knowledge of the area, presents it well, and related well to us. I recommend her as a tour guide. We thoroughly enjoyed Claire and our tour. The four of us were comfortable, her commentary was interesting and educational. She was always where she needed to be and solicitous of our desires and interests. We had a lovely day. We enjoyed our timed with Claire. We had arrived in town in the early morning hours so we had signed up for a short tour of the city in the afternoon. It was just right. We had enough time to visit several interesting places and Claire was extremely knowledgeable. We were comforted by the fact that we had her again for the whole next day. Claire did an amazing job showing us the highlights of Auckland. She was very friendly and accommodating. Her van was immaculate. She was very easy to understand and extremely knowledgeable. I would highly recommend her on your visit to Auckland!!!! Claire is a wonderful person--fun, friendly, knowledgeable. She knows the "back roads" and showed us some beautiful and meaningful sites around Auckland. She managed to give us a great appreciation for this city in a short time. We would definitely recommend Claire if you have an opportunity to be in Auckland and, in fact, we have already referred her to friends. The weather was not great so Claire was able to adjust and modify our tour for the weather. She knows her stuff and does a great job. the glow worm caves were great. they are about a 2 hour drive from the port in Aukland so plan a lot of time. Claire is a great guide and tries to make your tour personal. I would recommend Claire. Claire was an outstanding guide, one of our best guides ever. Our prearranged itinerary was a starting point, but we feel we saw so much more, with great stories about history and local culture. Claire also provided lots of tips on traveling in New Zealand and what additional things to do in Auckland. Thank you Claire. We chose the Wild West Coast Tour with Claire while visiting Auckland off our Cruise - we had a wonderful day and were not disappointed, Claire was fantastic, very informative and went the extra mile to please. Thank you so much Claire, when in Auckland again we will definately be using Tours By Locals again. Booking easy, with no problems. Great experience. Fabulous tour. Claire was informative and fun. She took us to amazing beaches and rainforests, and an amazing waterfall, while telling us all about New Zealand and the culture. Our group was able to see how magnificently beautiful New Zealand is. I fully recommend this tour. Claire was a great private tour guide for the 4 of us that finished our cruise in Aukland. Claire communicated with us before our trip and met us right on time from the ship. She drove us all over the city modifying it to what we wanted to see. In Claire's van we could go places a big bus could not and see much more. She is very knowledgeable and obviously proud of the city she lives in. We also arranged to be taken to the airport for our trip home to the USA. We highly recommend Claire & this tour!! Claire was very friendly and helpful. She adjusted our tour to meet our needs and mananaged to complete all the scheduled highlights. We really eenjoyed her knowledgeable commentary. We highly recommend Claire. Thanks Claire for all your help! Claire was terrific in showing us the beautiful coastal areas of the North Island and giving us the chance to do several hikes. Her choice of lunch place was exactly what we like: high quality, creative, casual food. Great trip - Claire was wonderful! Claire did a masterful job of giving us an informative tour of Auckland, but did even better in guiding us to New Zealand's West Coast and exploring the beautiful rainforest,black beaches and hidden waterfalls. She is an excellent guide, and is extremely knowledgeable about Auckland and the surrounding areas. Great guide of Auckland. Very personal and pleasant. Highly recommended. Nice relaxing option moving outside the city. Includes a visit in the quaint village of Matakana and numerous alternative options to include on the way their and back from walks in the bush to local pubs, wineries, working farms, cheese making and honey producers. Claire is a gen of a host who makes sure all are comfortable and satisfied with the tour. Excellent choice to consider. TOUR GUIDE RESPONSE: Thanks very much for the great review! I'm so pleased you enjoyed your day so much and also that you got the great picture of the pub patrons ;) All the best for the future. Excellent option for anyone wanting to leave the city and see some of the natural beauty of New Zealand. Claire is a true professional who works hard to make sure her clients are comfortable and enjoying their tour on their terms - no matter what conditions might be. You will not regret this tour or making use of Claire's service. TOUR GUIDE RESPONSE: Thanks very much for your lovely review Beau! It was my pleasure to take you both on the tour. The West Coast rainforest is my most popular and spectacular tour and the natural beauty never fails to impress. Claire did a great job on two different tours for us. She was a "5". Claire was very knowledgeable, entertaining and friendly. We had a great time. The only comment I would have was that the glow worm trip took longer than we thought. Otherwise, everything was great. Claire did a great job on two different tours for us. She was a "5". Claire was very knowledgeable, entertaining and friendly. We had a great time. A great tour by Claire! She is extremely flexible and went over time to make sure we saw everything. Very knowledgeable and also a fun companion to have. Couldn't have asked for more! Also, NZ is an amazing place! Do not miss it! TOUR GUIDE RESPONSE: Thanks for the excellent review! It was great that you all enjoyed everything we saw and did and of course the weather was brilliant as well. Best wishes for the future and I do hope you come back to New Zealand again! Claire was an excellent guide. Really knowledgeable, nice, and flexible. I highly recommend her! TOUR GUIDE RESPONSE: Thanks very much Sid for your kind words. It was my pleasure to take you all on tour. Claire was great!!! She took us to the best places and was very good at getting all 4 of us to march on even when the wind was against us. We had heard that there wasn't much to see in Auckland, but this tour proved otherwise. We love it and wouldn't have changed a thing. Claire was informative and made sure we enjoyed the day! Excellent itinerary and tour guide. Good value for price. We saw so much more than anyone on the cruise ship. We had a lovely day with Claire getting the real feel for Auckland, taking photographs around the city, and seeing a Maori cultural performance. She also arranged a custom shopping visit for us to a yearn shop specializng in New Zealand made yarns which was wonderful. We are really glad we chose to spend our morning with her. After departing our cruise we could never have done this on our own, or in a large group and still made our North American flight! TOUR GUIDE RESPONSE: Thanks Julie for your great review! It was my pleasure to show you my city of Auckland. Also having customized your tour you included the things that were special and important to you as well. Thanks again and best wishes to you all for future travels! Claire was a kind and knowledgeable tour guide. She was flexible and able to accommodate everything we wanted to see in Auckland. I highly recommend her as a tour guide! Very good tour--covered lots of places in Auckland that we had not seen before. Claire was very knowledgeable about the area. We had a nice walk up Mt Eden for the views and got to see Devonport. I would be happy to do more tours with her in the future. TOUR GUIDE RESPONSE: Thanks very much Michael for your rating! I very much enjoyed taking you both on the tour. Best wishes for future travels..
Claire was simply a delight. Informative, helpful, approachable and reliable. She was on time, catered to my interests and needs, and I would highly recommend her to anyone looking for a local guide. This was my first experience using tours by locals, and Claire made it great! Truly a great way to view the city and get a local perspective. Claire is an excellent tour guide. She provided immediate feedback to my emails for specialized trip requirements and arranged a customized itinerary. Clair guided us through the area on scenic routes that only a local guide can provide. The excursion was a perfect end to our trip! My husband and I just completed a tour of Aukland, New Zealand with Claire and I couldn't wait to get back to the hotel to write her a rave review. She's absolutely delightful and very knowledgeable. For the best views, the best tour and the best time, I highly recommend Claire. We just did Auckland City Highlights with Claire F. and thoroughly enjoyed it. She was on time, was very friendly and informative, and did not rush us at all. We would definitely recommend her. Claire was prompt in meeting us, efficient, knowledgeable and accommodating....just what we hope a tour guide to be. She offered suggestions and sought our input during our comprehensive tour and we'll recommend her without reservation to anyone who plans to visit Auckland. Claire was sooooo knowledgeable. She know so much about the trees and wildlife. We saw so many sites we never would have seen without her. Thanks Claire. We hope to see you again! Claire is so nice and so wonderful. Her van is so comfortable and spacious. The drive over to Waitomo was beautiful and we had a very nice conversation. She is very friendly and kind. We also went to lunch at a lovely restaurant and the food was delicious. Claire also took me to a kiwi bird exhibition. I never realized that kiwi birds can get so big. We also picked up some fresh fruit and it was delicious. I really enjoyed spending the day with Claire and would recommend her anytime. Our tour guide, Claire, was excellent. Under difficult circumstances, she provided an interesting, informative and enjoyable day. We would recommend her to everyone. TOUR GUIDE RESPONSE: Thanks Bobbie and friends for the excellent review! I really enjoyed my day with you all and I hope you have great memories of New Zealand. Best wishes for future travels!